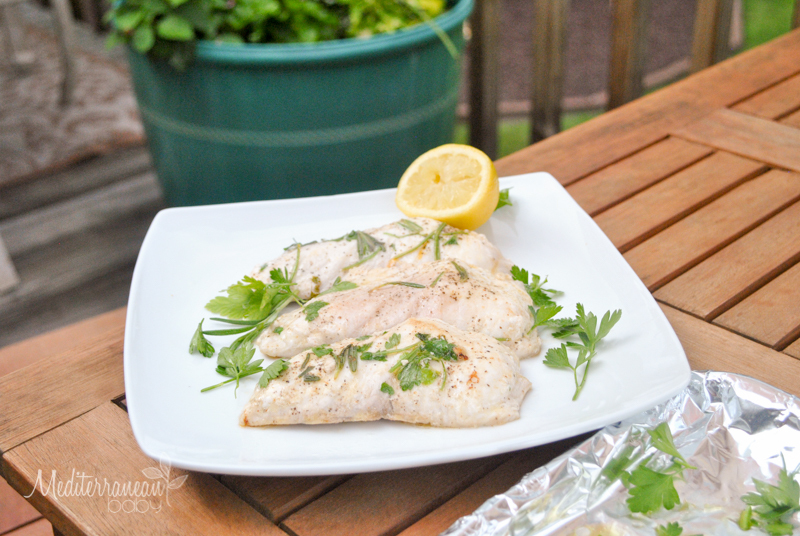 Have you ever tried grilled sturgeon? Prior to creating this recipe, I had never even tried it out at a restaurant before. I came across it at Penn Avenue Fish Company last weekend when I was shopping for our Father’s Day meal. 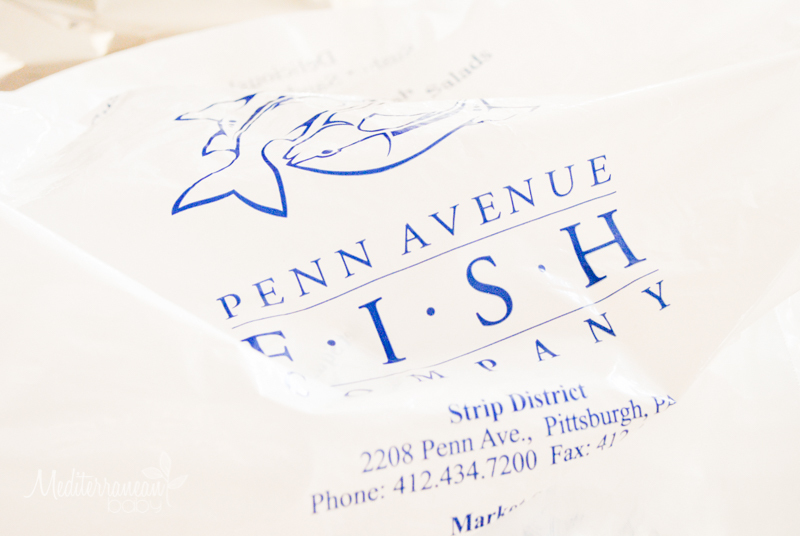 A friend of ours owns Penn Avenue Fish and I relied on her to recommend something special to grill. It was absolutely delicious, very meaty and very fresh as is everything there. They jokingly told me to treat it like veal or chicken and they were right. It held up to the grill wonderfully. 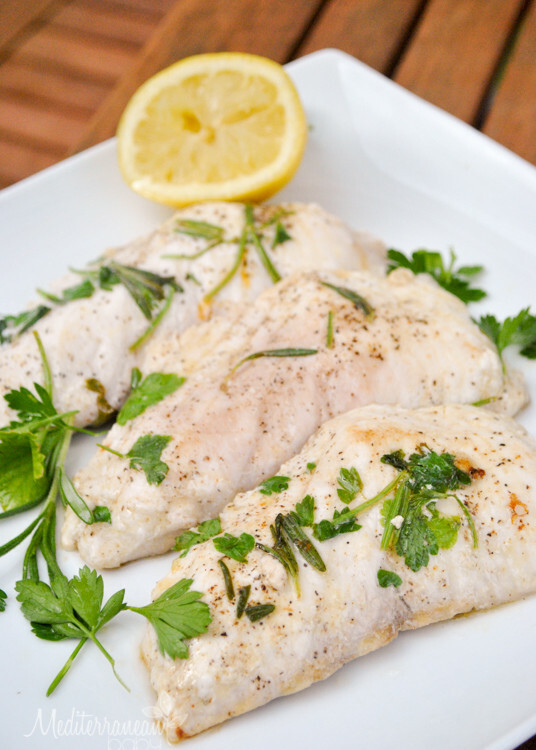 Citrus, fresh herbs, and some clarified butter make this recipe bright and flavorful, while allowing the fish to stand on it’s own. In the meantime, drizzle both sides of the medallions with olive oil and sprinkle with fresh herbs, sea salt, pepper, and the juice of half of the lemon. 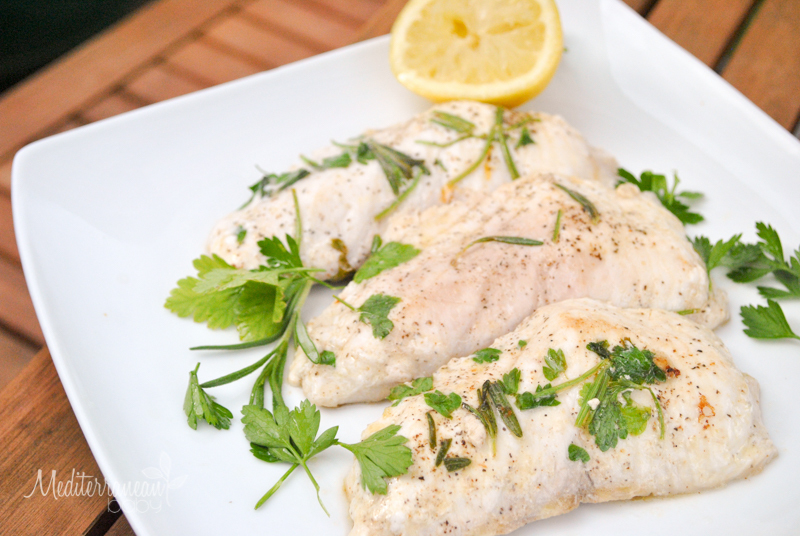 Reserve some of the parsley for garnishing once it's grilled. 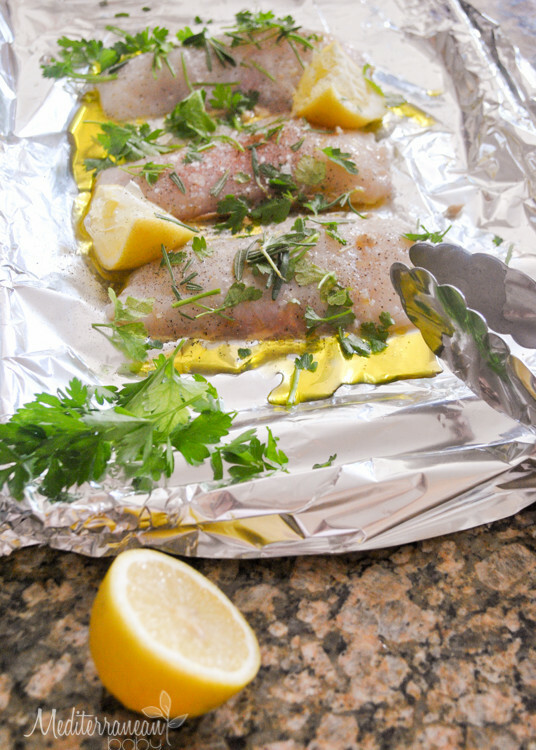 Drizzle the foil on the grill with olive oil and place the medallions on the foil. 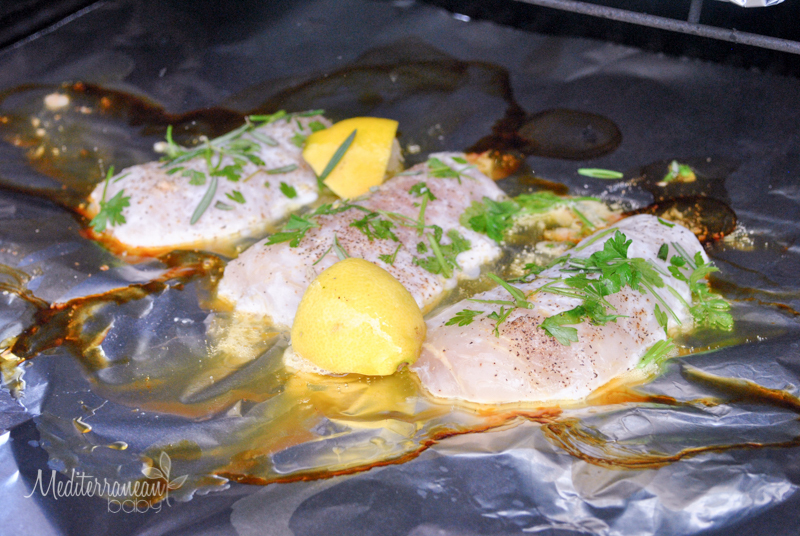 Grill for roughly 4 minutes on each side or until the fish is opaque white and flaking. Pour the clarified butter over the medallions for the final two minutes of grilling. Plate and top with fresh parsley and the juice of the remaining half of the lemon.